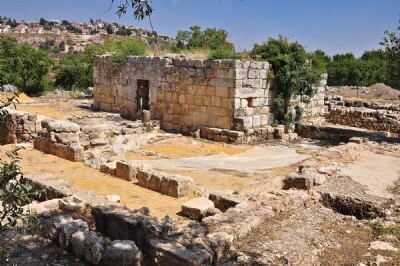 At the southern foot of Tel Shiloh is a structure known as "Jame Yetim" (the mosque of the orphans). The niche in its southern wall and its name point to the conclusion that it had been used as a mosque although at one time may have been a "weli"–a monument memorializing a Muslim holy man. Prior to the construction of this building there were other religious structures here–including two Byzantine Churches (as indicated by beautiful mosaics). The church probably dates to the fifth-sixth centuries.